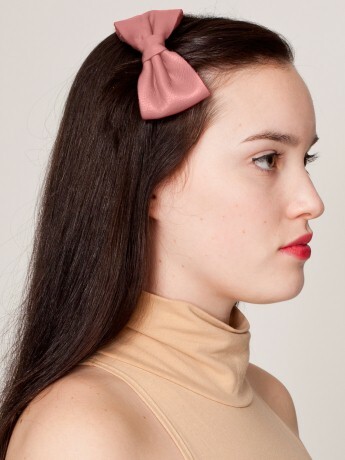 yesterday, i picked up this leather bowtie hair clip at american apparel. is this too infantile for a 29.5 y/o lady to wear? honest opinions appreciated. here it is in my hair. far better on you here than in the picture above. just my opinion. i wasn't a fan when you first bought it but done right it's nice!